One system to capture all your workload data. With Dynamine™ workload software, nurses and allied health care workers can spend less time doing data entry and more time taking care of patients. Designed by Canadian health care professionals, Dynamine™ acts quickly and intuitively to capture workload statistics across departments for simple reporting and strong decision support. It’s also an invaluable web-based data entry tool that captures data outside your Health Information System (HIS) such as public survey responses. 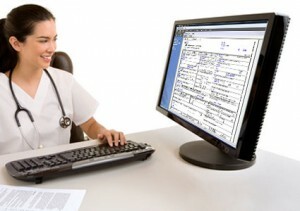 Learn more about Emerald’s nursing and allied health workload solutions. Detailed dashboards and trend analysis of workload, utilization, procedures, validity, MIS workload and caseload statistics. At Emerald, we’re your partner right here in Canada. Your Dynamine™ installation includes extensive on-site training and support so you can enjoy a smooth, cost-effective transition toward smart nursing and allied health workload software. Learn more about Emerald and our approach.